This section begins by setting the scene for Jesus’ birth.Typically for Luke, this includes clear historical details, which explain why it was that at this particular time, a young couple from Nazareth ended up some way away in Bethlehem, where they had nowhere to stay. 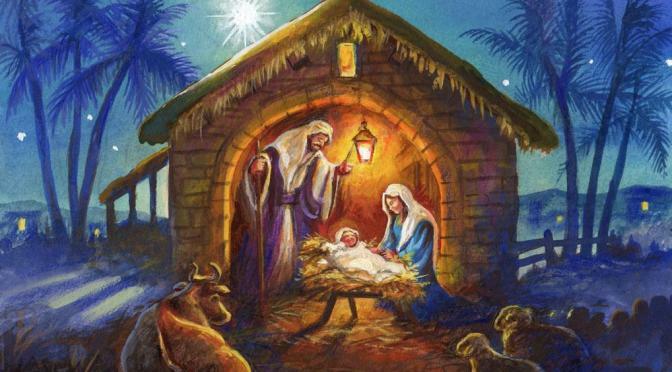 Because of a Roman decree at the right time, it came about that the baby Mary was carrying was born in Bethlehem, far from their home, without even an inn to stay in. None of this was accidental; God had planned this all in advance, and had made known that the Messiah was to be born in Bethlehem (Micah 5:2). Take a moment and think about what it means to say that God chose to be born into the world in these circumstances (a country under the rule of another, without shelter, far from home). Consider also how it felt for Mary and Joseph to be far from home, with no one to welcome them and a small baby. Nobody made room for them to stay. Take a moment to pray for people who are isolated in their communities, and for people who have just moved to new town and don’t know anyone. Think about your own life. Is there anyone you know who people don’t make room for? What can you do to make room for them?